When you’re in an auto accident, you might feel as if you’re being pulled in so many different directions. You’re worried about your own injuries and how they will affect your personal life and your ability to hold down a job. You might also be worried about any loved ones of yours who were also injured in the accident. Finally, your car has probably taken some serious damage, and it might be awhile before you have the money to either fix it or get a new one. What you do need to be keenly aware of, out of all these issues, is the matter of statutes of limitations. 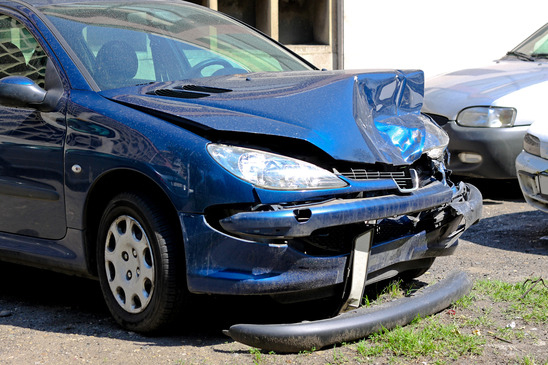 After you’re in your accident, you have a set amount of time during which you need to get your claim filed. These limitations can change how you and your insurance claims are handled. If you file a claim past the deadline, you will not be able to file a case or a claim with your insurance. If you have a personal injury claim resulting from an accident, then you have two years to file a lawsuit with regards to auto insurance. If you have property damage to your vehicle or personal property, then you have three years for which to file a lawsuit. Have you ever driven past an accident on the side of a highway and thought, “What in the world happened?” Sometimes it’s not easy to actually tell what happened at the scene of an accident, especially when you only have a few seconds to assess the scene before you drive right by. Now you may not have to wonder about these accidents any longer. The Auto Insurance Center, an information and news site dedicated to keeping up with the latest in car insurance news, began researching the answer to that very question. The center combed through records in the United States from the National Highway Traffic Safety Administration’s Fatal Accident Reporting System, which has been keeping records on every serious and fatal car crash in the United States from 2009 to 2013. Picture this: you are driving through your town late on a Saturday night. Suddenly, something comes out into the road. It’s a person. You try to swerve, but it’s too late. You know you have made contact. That is almost exactly what happened on January 17, 2015. A 73-year-old woman was walking in her town of Gatesville, Texas. When she tried to cross the street, a silver car driven by a 17-year-old boy hit her. 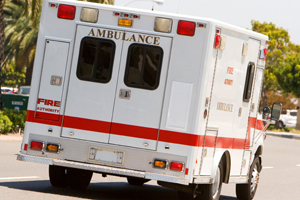 When the police, EMS and fire department arrived, they pronounced her dead at the scene. Whether you are driving on the highway or through a school zone, you always need to be on the lookout for pedestrians. Though it is unlikely that someone would want to try and cross a busy highway, you never know who might get out of their car on the side of the road. Hitting a pedestrian will land you in boiling hot water and can lead to both civil and criminal lawsuits. Therefore, you need to be very careful when driving anywhere you suspect pedestrians may be more common. To most parents, there is nothing more terrifying than letting a teenager get his or her license and start driving. Parents tend to imagine every possible worst-case scenario – the car breaks down in the middle of nowhere, a drunk driver hits the teen’s vehicle – and really, they have cause to worry. A new report states that auto accidents are actually the number one killer of teenagers in the United States, beating out both homicide and suicide. The study, which was funded by the General Motors Foundation, says that both drivers and passengers are at risk. The report was mostly based off a national survey that looked at 1,000 teenagers between the ages of 13 and 19. According to the report’s findings, 2,439 teenagers died in 2012 due to auto accidents on U.S. roads. Of those teenagers, about 56 percent of them were driving at the time, and 44 percent of them were passengers at the time. The study also found that more than half of those killed did not put on a seat belt. How cool would it be to never have to drive your car again? Some people are lucky enough to experience this now. They have chauffeurs or private drivers to handle the task, but what about the regular, average Joes out there? What if you never had to worrying about making your morning commute because your car would simply drive you itself? Self-driving vehicles are quickly becoming the new frontier of technology, capturing the minds of those in Silicon Valley, but the actual implementation of driverless cars might need to wait a generation or two. In a recent survey conducted by the Pew Research Center, 48 percent of Americans said that they would ride in driverless cars. More than half of urban and suburban citizens said they were at least interested in this technology, and a whopping 59 percent of college graduates in the U.S. said they would be willing to give it a try. Before you know it, seeing a driverless car on the road could become part of your normal routine. You might even own one! Here is what you need to know about the driverless car phenomenon. Personal injury lawsuits can really do a number on your finances. 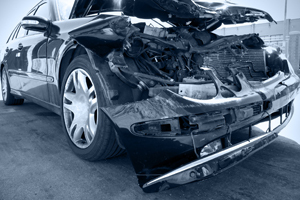 When you are hit by another driver, usually you will rely on their insurance to pay for the damages to your car as well as any medical fees. If the driver is uninsured, you will probably go after the driver with a personal injury lawsuit, but no matter what, it will cost you plenty of time and energy. Some states are better than others when it comes to personal injury and safety. WalletHub.com rated all 50 states plus the District of Columbia in order from the riskiest states that will hit your wallet the hardest (#1) to the most lenient states that may save you money but not protection (#51). To judge the level of safety, the site looked at the level of auto insurance required for drivers. 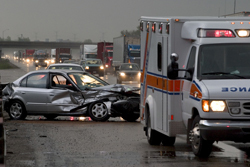 Auto accidents are one of the leading causes for many personal injury lawsuits, and not all states require drivers to have enough insurance to cover damages. That means if another car in the state with the least strict laws hits you, there’s a good chance you will end up paying for your own damages, unless you chose to go after that driver in a personal injury lawsuit.